Do you want to upgrade Micromax canvas doodle 2 A240 to android 6.0 Marshmallow ? if yes then you are at right place . 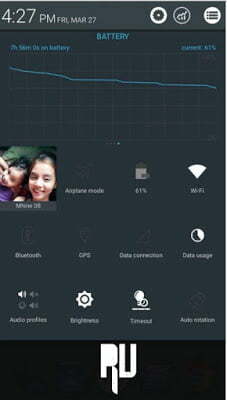 Today we are here with a guide in which we will tell you How to Update Micromax Doodle 2 A240 to android 6.0 marshmallow .Micromax Doodle 2 A240 is the Successor of Micromax’s first Doodle smartphone .Before going to the guide on How to Update Micromax doodle 2 to android 6.0 marshmallow lets have a look at the specifications of the smartphone .Micromax doodle 2 A240 comes with a 5.7 inch Hd screen with a pixel density of 248 pixels per inch . In the camera segment there is a 12 Mega pixel camera at the back and a 5 Mp camera unit is placed at front end . 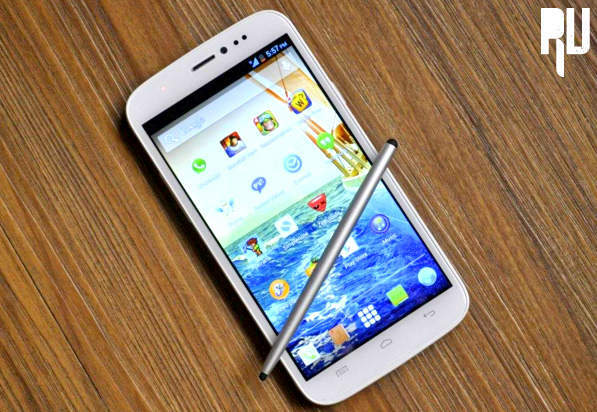 Doodle 2 A240 is a Mediatek based device with a 1.2ghz Quad core processor coupled with 1 Gb ram . Android N 7.0 Features , Name and Update List . Okay now without wasting much time lets head over to the guide on How to update Micromax Doodle 2 A240 To android 6.0 Marshmallow . Android 6.0 marshmallow is the latest android version from google and today in this guide we are going to tell you How to upgrade micromax Doodle 2 A240 to android 6.0 Marshmallow . We will use a android 6.0 Marshmallow custom rom to update micromax doodle 2 A240 to android M 6.0 . 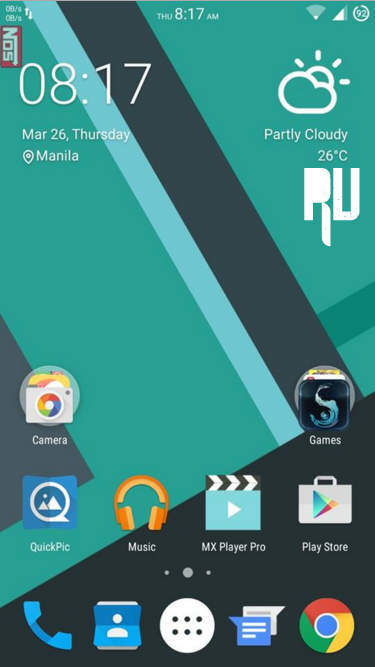 The rom is based on android 5.0 lollipop and themed on Android 6.0 marshmallow . Here are some Points you need to remember before updating Doodle 2 A240 to android 6.0 M .
As we already mentioned that we will use a custom rom to update doodle 2 to android 6.0 marshmallow . 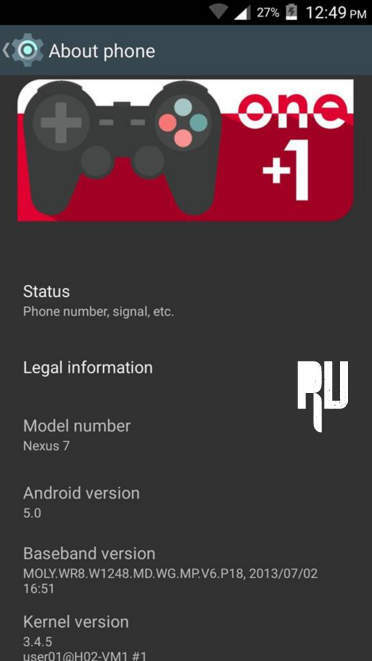 The Custom rom is based on Android 5.0 Lollipop . Charge your doodle 2 to minimum 70% . Here are some features of the Android 6.0 marshmallow custom rom for Micromax Doodle 2 A240 . Android Marshmallow 6.0 themed . So here is the guide on How to flash the Android 6.0 marshmallow custom rom on Micromax Doodle 2 A240 . First of all Download the android 6.0 Marshmallow custom rom From HERE in your Pc . Now connect your smartphone to pc via USB cable . After connecting copy the custom rom to root of your SD card . Now boot your Doodle 2 A240 into CWM recovery . After booting in to Cwm recovery you will see many options . Now choose the following options . And in last choose ” Select Zip from Sd card ” and choose the Custom rom you downloaded earlier . After the successful updating go back to the main screen and choose ” reboot system now . Now the phone will start . the First boot will take some time . And thats all !!! you have successfully updated your micromax doodle 2 to android 6.0 marshmallow . Here are some screenshots of the Android 6.0 marshmallow custom rom for Micromax Doodle 2 A240 . So this was our guide on How to Update Micromax Canvas Doodle 2 A240 to android 6.0 Marshmallow . it is require to boot in cwm recovry mode? in my phone two volume button and power key is pressed it contain some list. it contain select file from sd card. so my is way is proper or not? Yes , But you should be on TWRP or CWM recovery to flash the custom rom . Only One Sim will work.. ROM is good but have lots of bugs. Hi Dijo Just Hard reset your smartphone and then try again it will start working . Hey Harsh, Thanks for providing the ROM and steps. I tried the above steps on my doodle 2. I was not able to see the option Wipe Dalvik cache so I proceed with the step apply update from sd card. After I select the zip file in 2 seconds it shows installation aborted. 1) is wiping Dalvik cache important in this process? 2) if yes, How do I get this option? Can you please share the version of CWM recovery app you have used? Hi Dattatray You will get the Dalvik cache option in Advanced Option . No advance option, please suggest. Hi Dattatray Make Sure you are using Cwm or TWRP recovery .